Made in Detroit, Michigan, Paulina Jayne’s musical style has been curated by a melting pot of influences coming together under one genre she calls urban country. 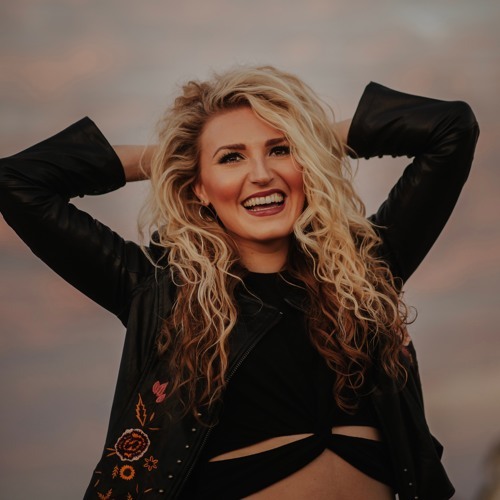 At just 21 years old, Jayne has written with renowned writers Shane McAnally, JT Harding, Trey Bruce, Danny Orton and the list goes on. She has opened for Sheryl Crow, Sam Hunt, Chase Rice and Blackberry Smoke to name a few. A year ago, Paulina embarked on the creation of an all-en- compassing entertainment group with a student body infrastructure spearheaded by Jamie Polen and #1 hit songwriter, Trey Bruce. When she isn’t whipping her hair on stage, she is keeping the books for her team. As equally left-brained as right, Jayne is moving the marketing and musical needles simultaneously with the help of a young and hungry group to break their careers and her own. In 2016, Jayne released an EP under their company, Girl King Records. The single, “Love’s Gonna Always Win,” written by Jayne, Bruce and Hailey Steele, won Robert Oermann’s DISCovery Award in MusicRow Magazine. “From the lyric to the searing lead guitar, from the pulsing tempo to her soprano swoops, this record has an audio delight around every corner,” says Oermann. In July, Pau- lina released a second single - “Country Music Every- where.” Her inimitable lyricism and powerhouse vocals lure your attention. Her drive and dedication to her art and the business demands your respect, and her overall enthusiasm for her craft paired with her high energy, per- formances keep you wanting more. Paulina Jayne is an unmistakable and unyielding force that is taking country music by storm! Join her in the movement on Facebook, Instagram and her website. @those-so-called-musicians: Thank you so much!! @jos-slabbert: Thank you so much Jos!!! @lalisamagdaleno: wow, thank you so much!!! @fernando-gonzalo: thanks so much!! that's a good sign! !